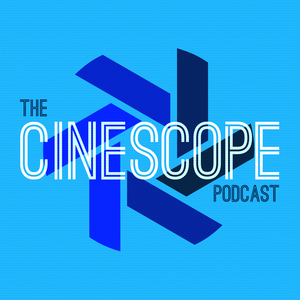 In Episode 66 of The Cinescope Podcast, Chad and TJ Draper talk about one of their favorite movies, Star Trek IV: The Voyage Home! In Episode 65 of The Cinescope Podcast, Chad and Eric Scull talk about one of their favorite movies, Hook! In Episode 64 of The Cinescope Podcast, Chad and Blake Collier talk about one of their favorite movies, Take Shelter! In Episode 63 of The Cinescope Podcast, Chad and Gene talk about one of their favorite movies, Chitty Chitty Bang Bang! In Episode 62 of The Cinescope Podcast, Chad and Seth talk about one of their favorite movies, I Am Legend! In Episode 61 of The Cinescope Podcast, Chad and Patrick Hicks talk about one of their favorite movies, Clue! In Episode 60 of The Cinescope Podcast, Chad and Mikey talk about one of their favorite movies, The Sandlot! In Episode 58 of The Cinescope Podcast, Chad and Dan LeFebvre talk about one of their favorite movies, Argo! In Episode 57 of The Cinescope Podcast, Chad and Jeremy Calcara talk about one of their favorite movies, Groundhog Day! In Episode 56 of The Cinescope Podcast, Chad and Shannon talk about one of their favorite movies, Tangled! In Episode 55 of The Cinescope Podcast, Chad and Blaine talk about one of their favorite movies, Ratatouille! In Episode 54 of The Cinescope Podcast, Chad and Andrew talk about one of their favorite movies, A Goofy Movie! In Episode 53 of The Cinescope Podcast, Chad and Katie talk about one of their favorite movies, Forrest Gump! In Episode 52 of The Cinescope Podcast, Chad along with Sideshow Sound Theatre’s Will Dodson and Wendell Jones talk about one of their favorite movies, Tomorrowland!